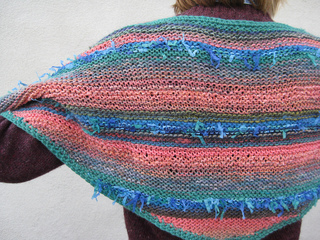 Have you ever had the experience of picking up a ball of variegated yarn at your LYS or at a show and just fallen in love with the colors-- how they blend and merge into each other? Then be unable to think of what you would make with the yarn. But buy the ball anyway because you fell in love? Those kinds of balls litter my stash! Since I loved them I wanted to do something with them. 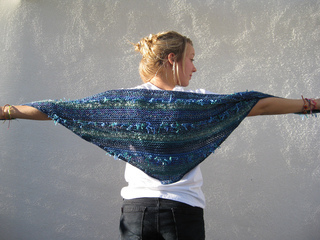 This little shawlette is the result of that desire. My design is more a method than a pattern. 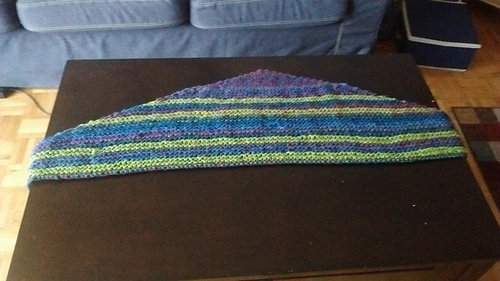 The actual shawlette is a beginner level pattern composed entirely in garter stitch (knit every stitch) with one increase at the beginning and the end of each row. Gauge is not important and needles sizes can vary from US 8 (5.0mm) to US 11 (8.0mm). 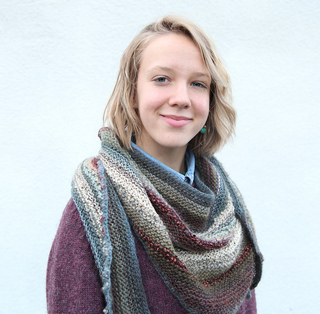 This is an ideal stashbuster as it uses 5-7 balls of yarn of varying weights, textures and colors. 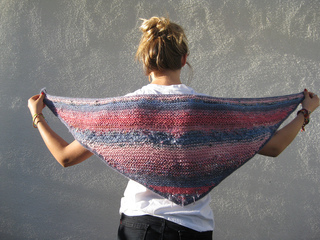 I cannot give yardage as it will vary from shawlette to shawlette.